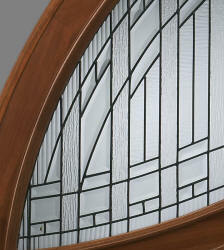 Rough Opening: 110 1/4" x147"
Left Hand Main Active with Double Bore. 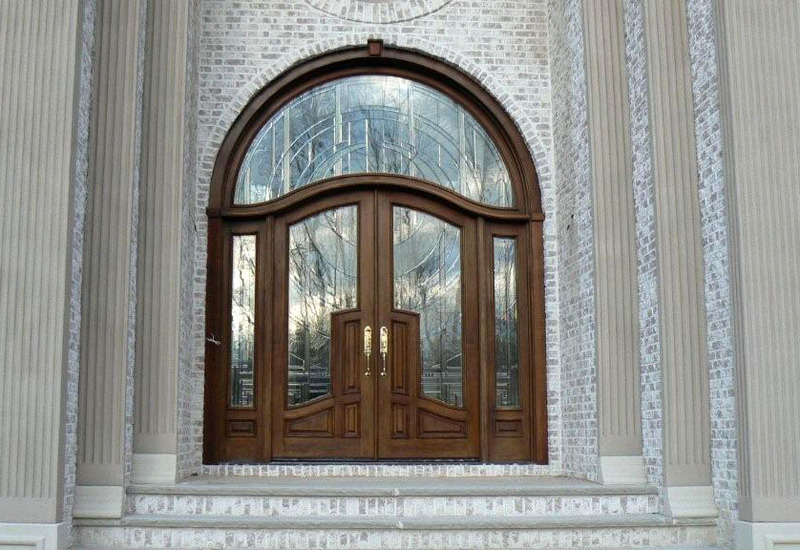 mahogany wood astragal with flush-bolts. exterior Sapele mahogany brickmold and casing included. 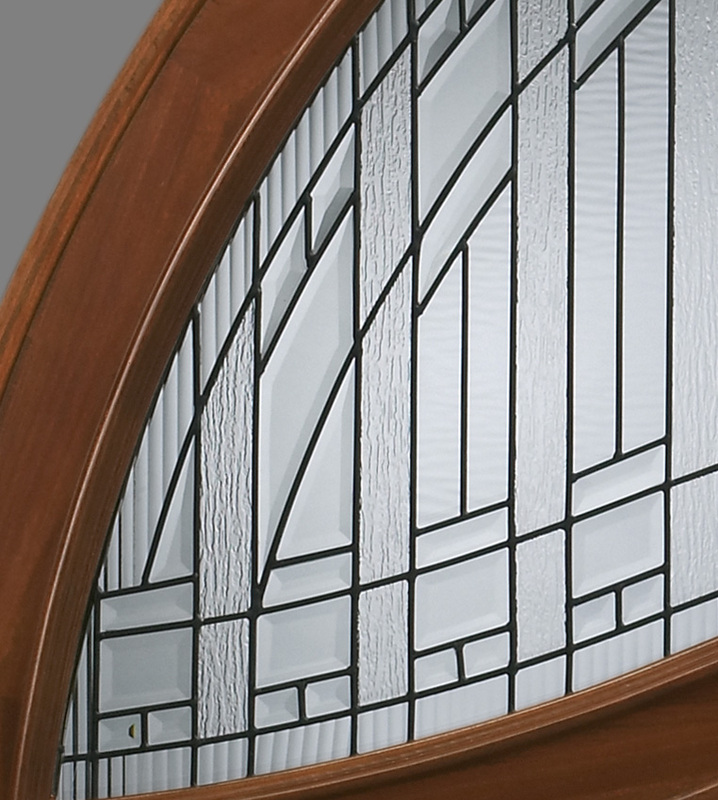 Cotswald, Reed and Beveled Glass combined to make this door beautiful. 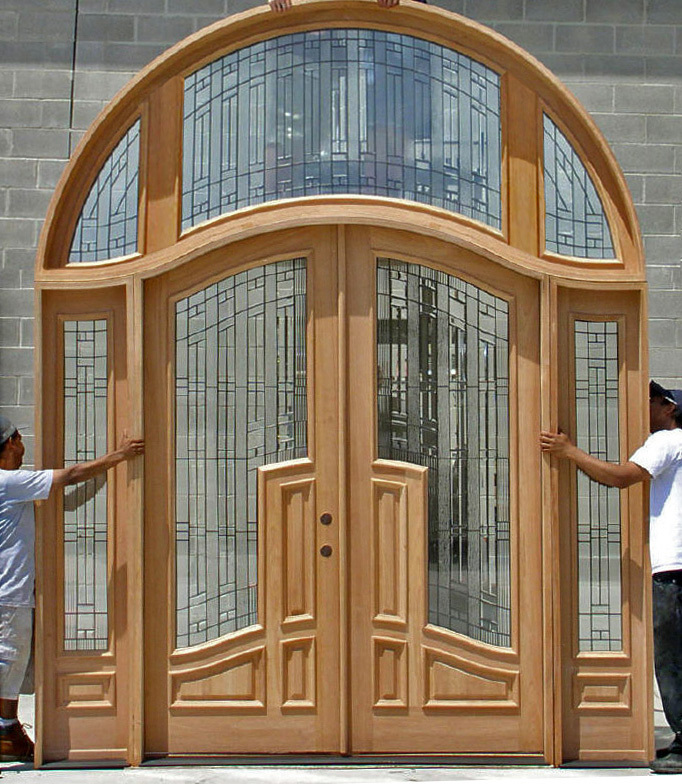 This door is very massive in scale and will make an impression upon everyone who sees it.